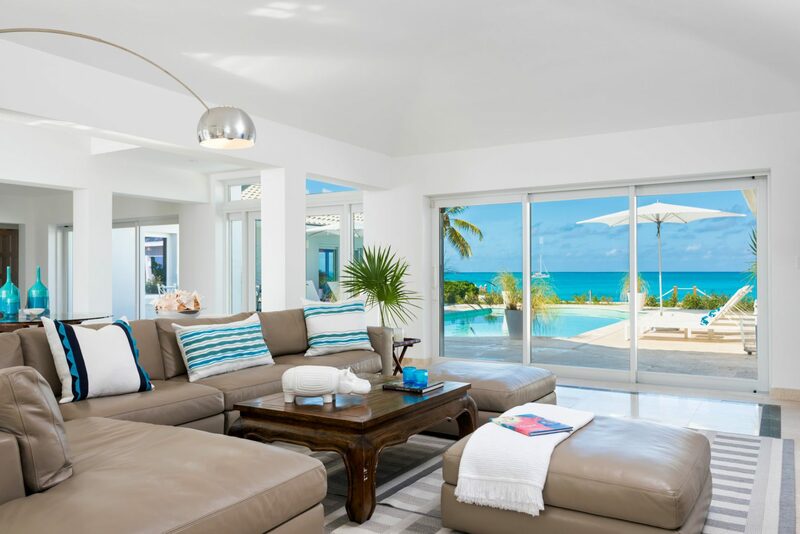 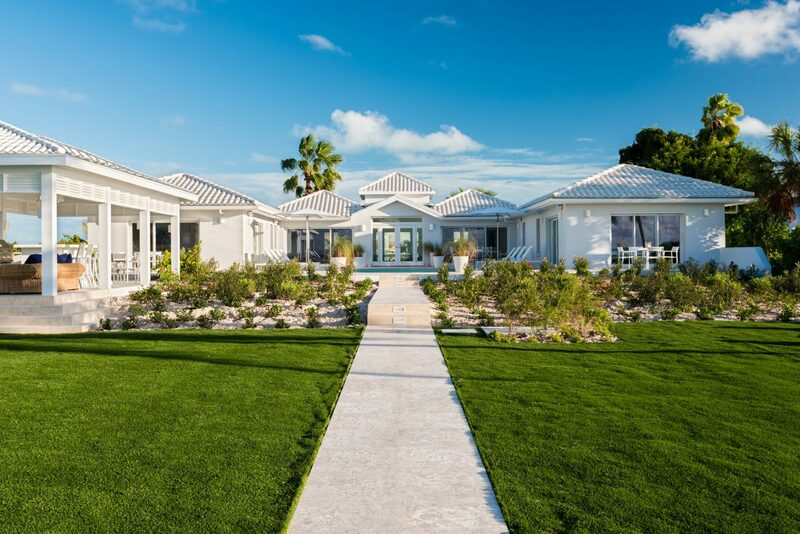 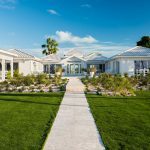 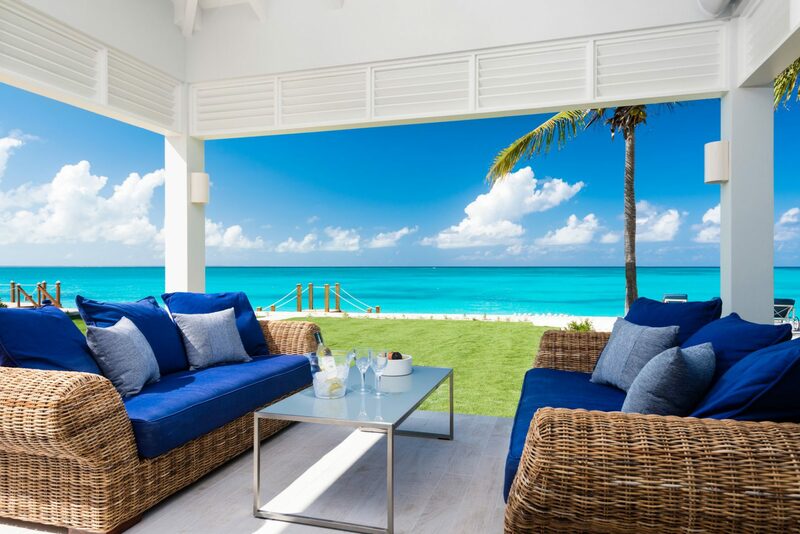 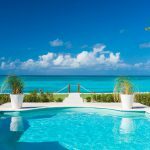 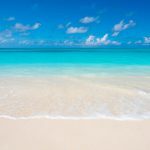 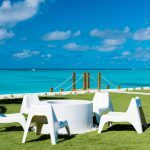 Experience the serenity of Providenciales, Turks and Caicos at the beautifully furnished 4 bedroom staffed Villa Milestone. 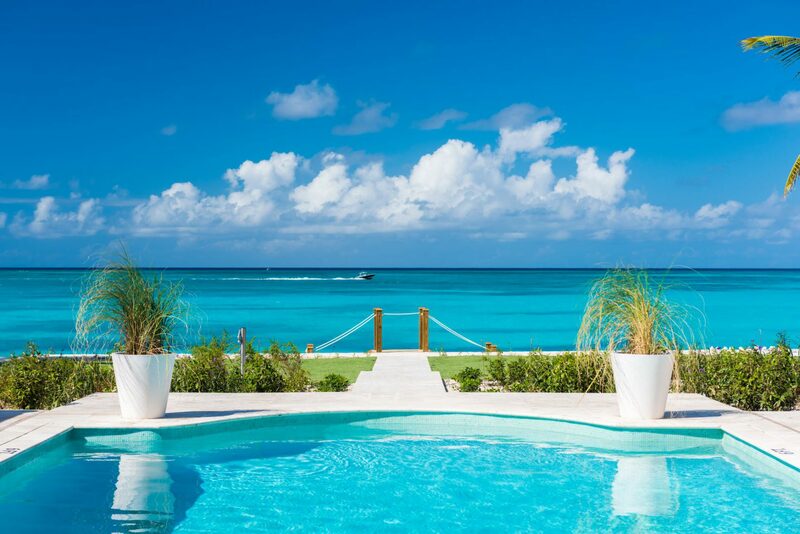 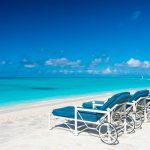 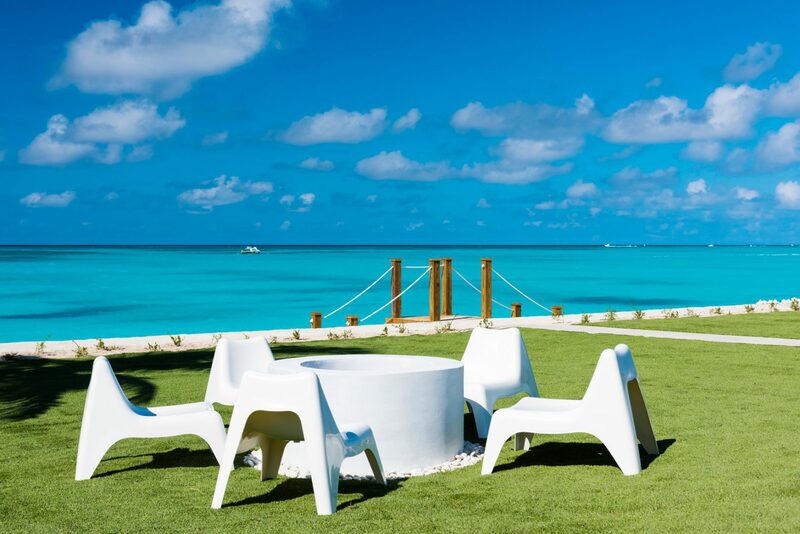 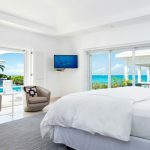 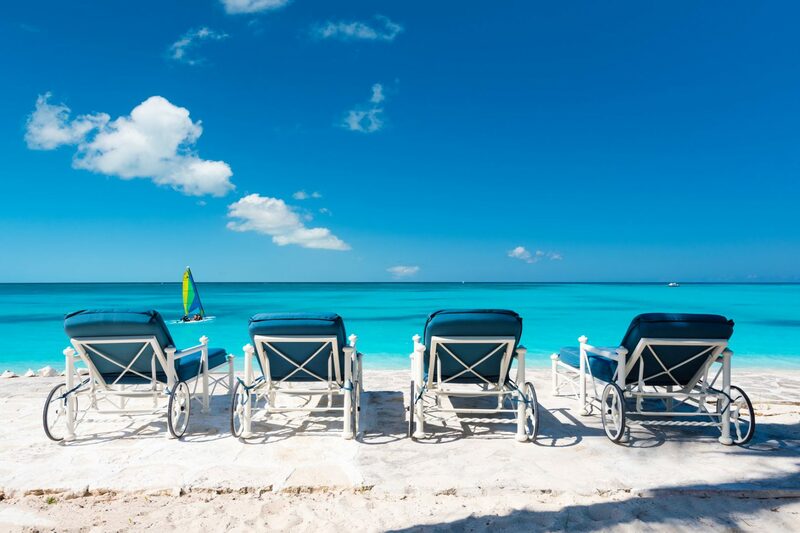 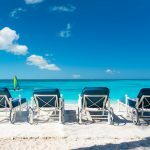 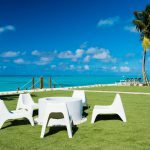 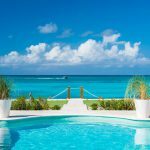 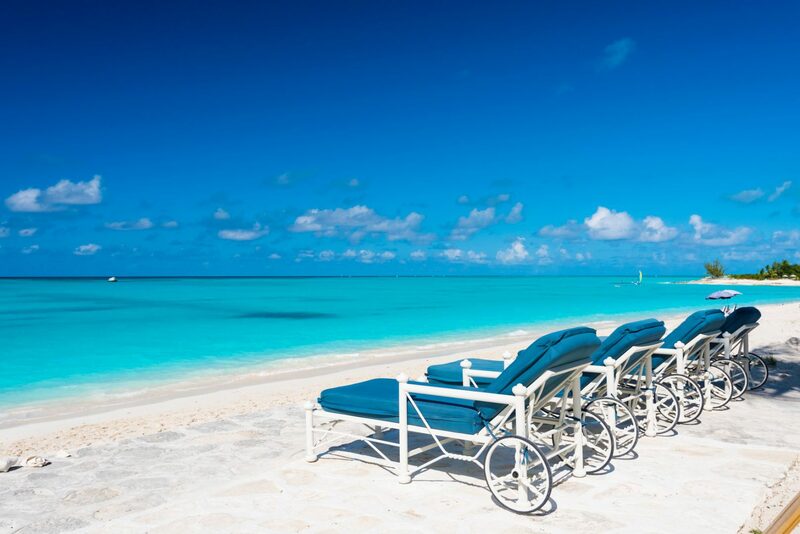 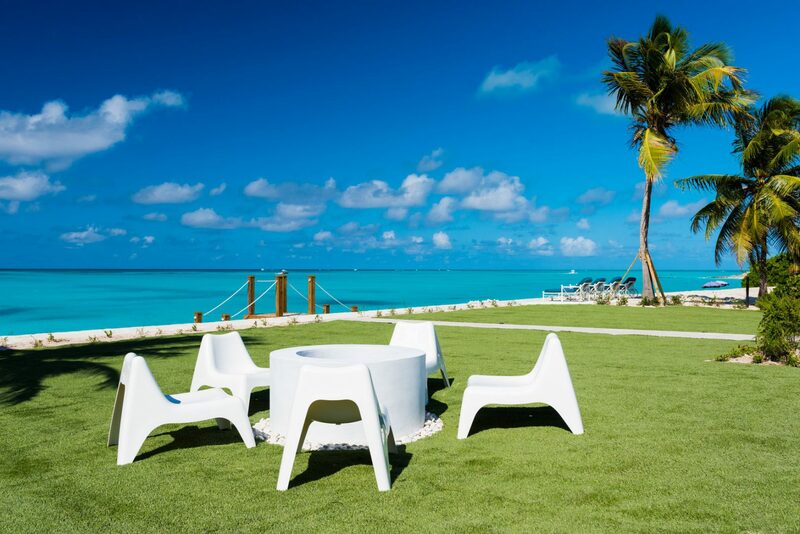 Milestone offers daily butler and maid service as well as a heated pool, outdoor fire pit, kayaks and SUPs, and beachfront access to world famous Grace Bay Beach. 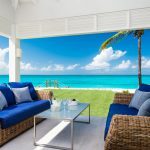 This luxury villa offers guests tons of space for relaxing and unwinding while taking in the island’s signature turquoise views. 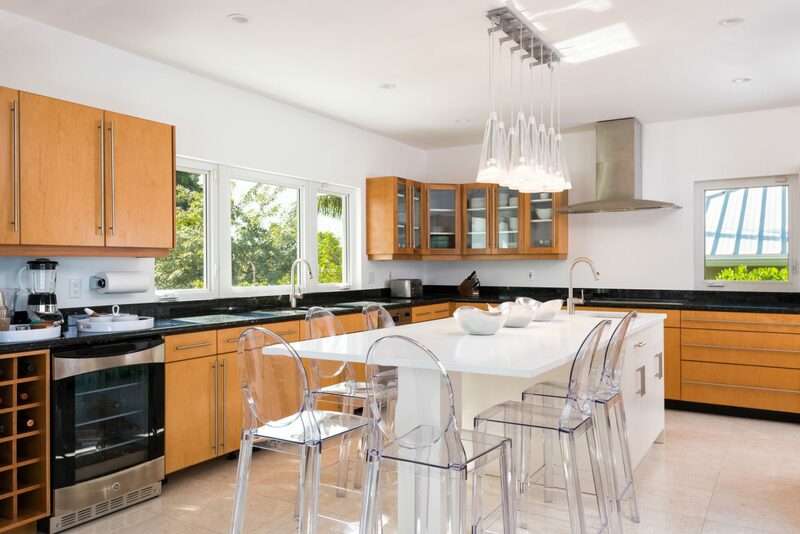 Cook delicious meals or have a chef do the work in the well equipped, professional grade kitchen. 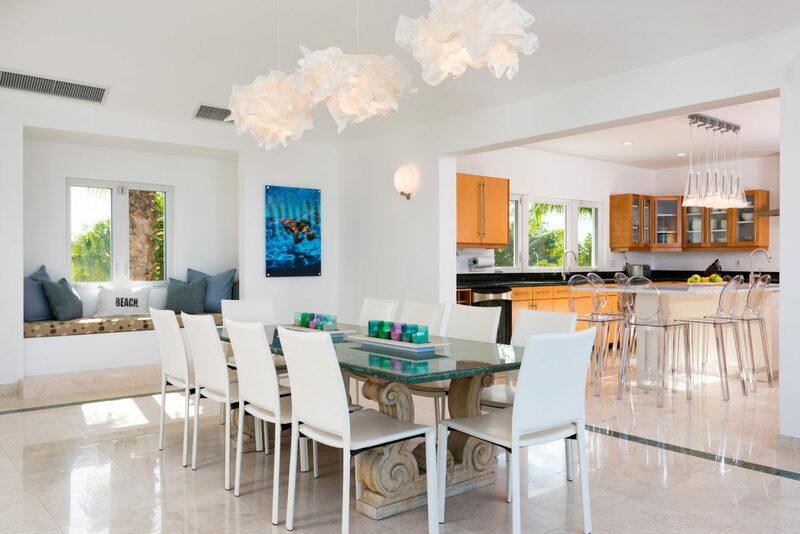 The dining room table comfortably seats 10 with additional breakfast bar seating in the kitchen. 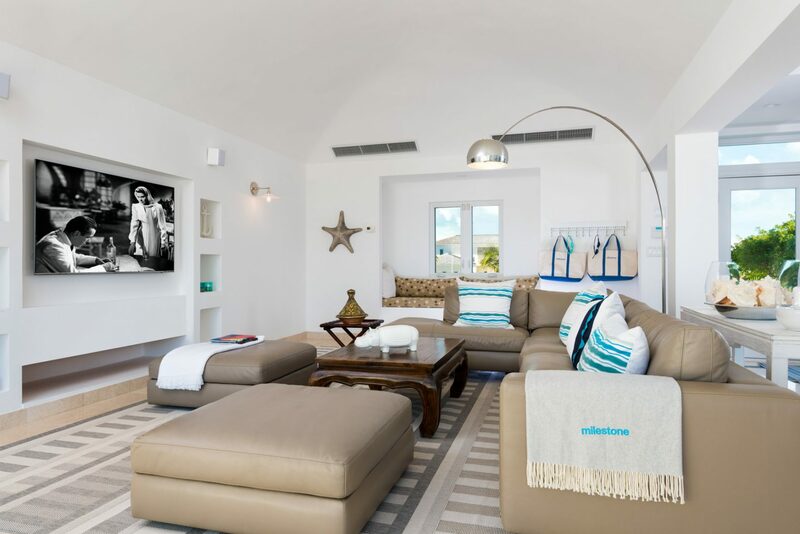 Watch films on the living room’s large flatscreen TV while enjoying the comfortable couch, chairs and sea views. 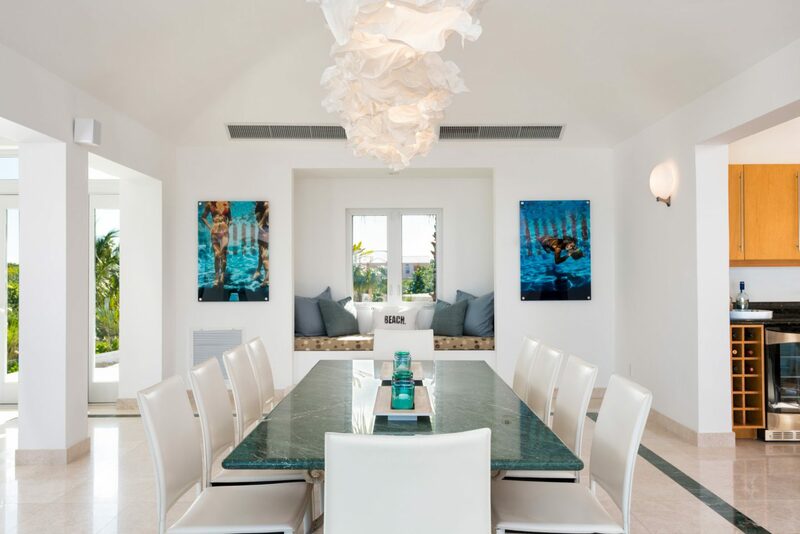 The villa’s layout lends itself for seamless and relaxing Caribbean days and nights with ample room for congregating or finding quiet time alone. 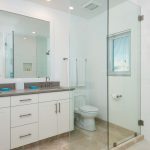 A convenient office with two Mac computers is located next to Master bedroom 2 if you cannot leave all the work behind. 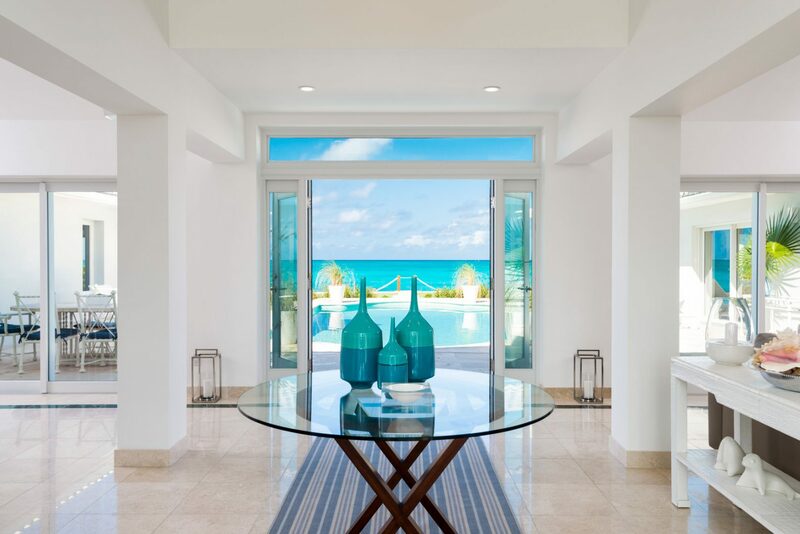 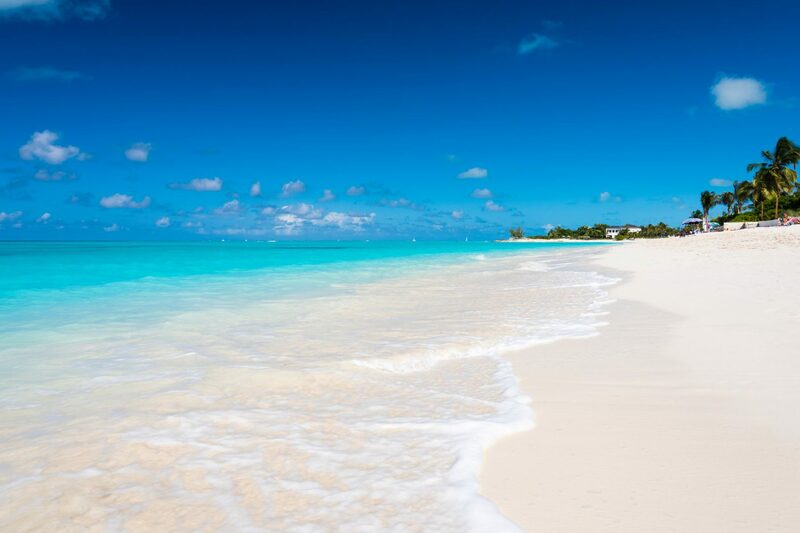 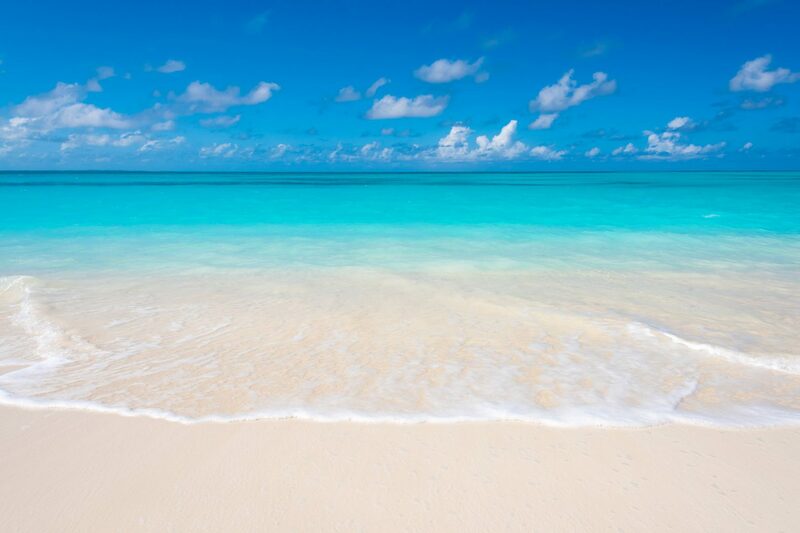 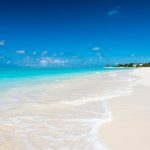 Enjoy amazing access to Leeward beach, the stunning white sand and clear water on the North Eastern portion of Grace Bay Beach. 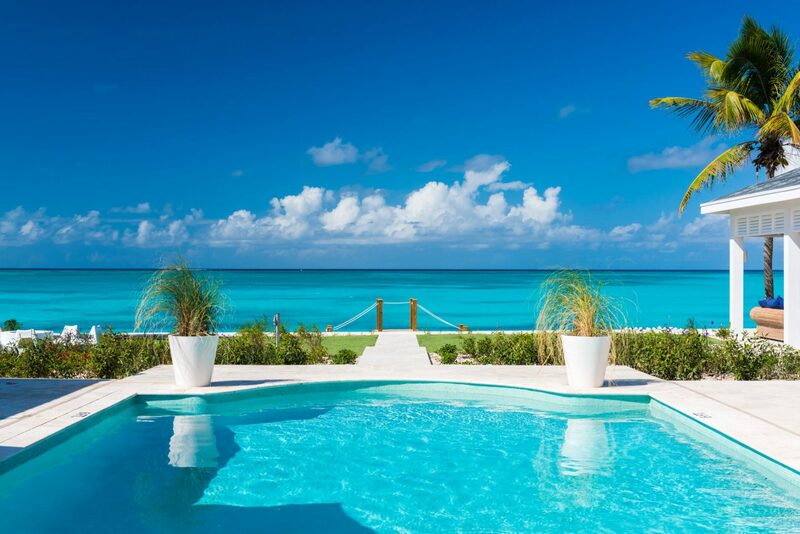 The large private swimming pool is heatable and offers a great music system for poolside tunes. 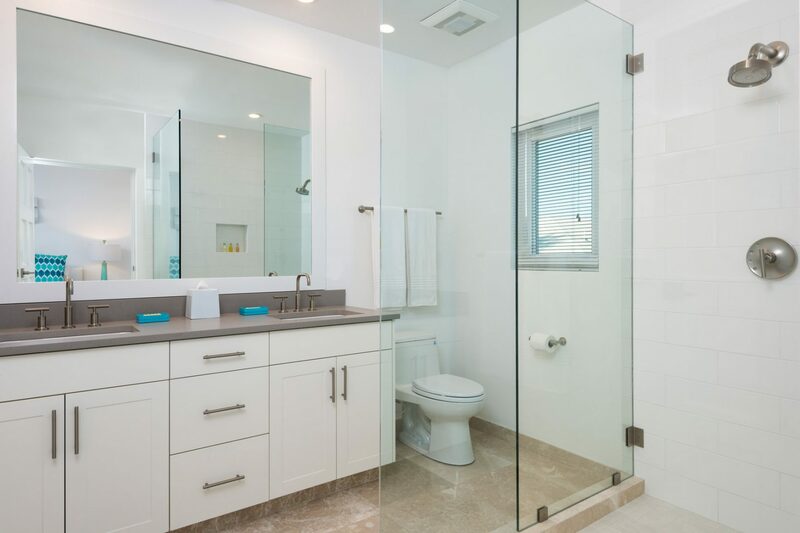 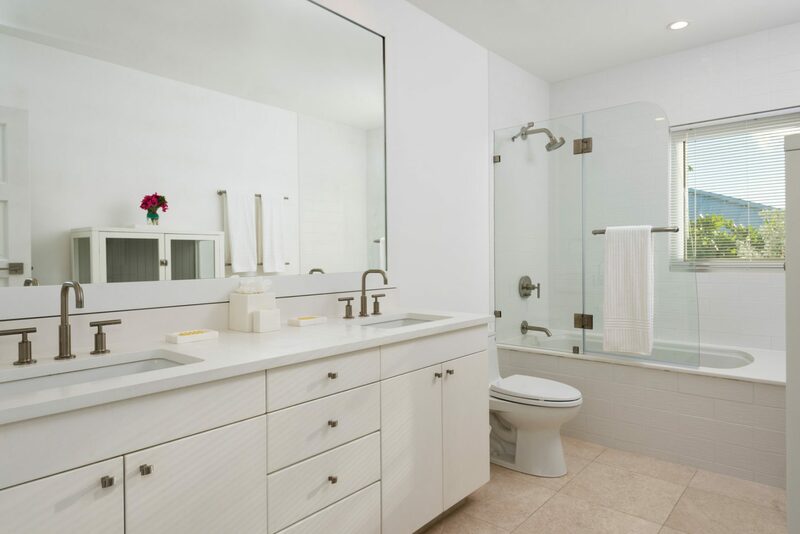 Enjoy other guest amenities like a fire pit and unforgettable beachside shower. 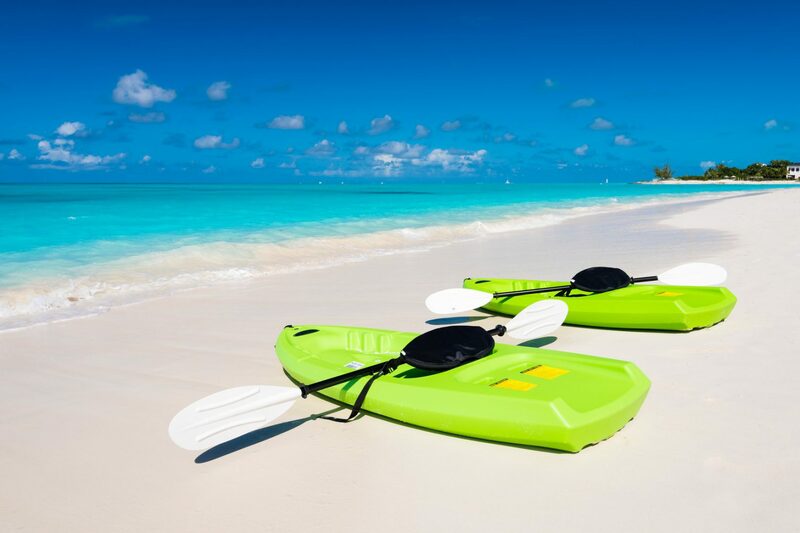 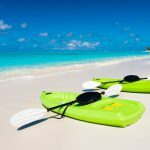 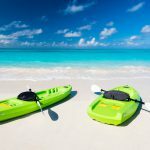 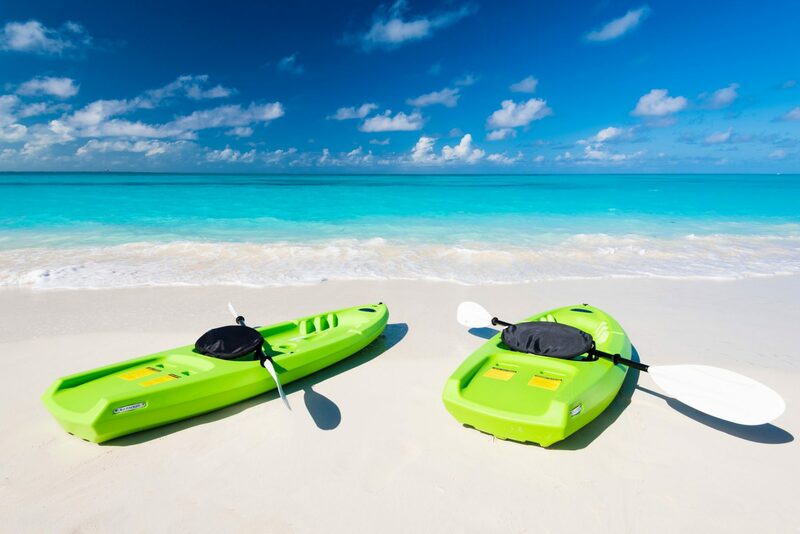 Take the kayaks out to catch a glimpse of the tranquil sunsets over Grace Bay. 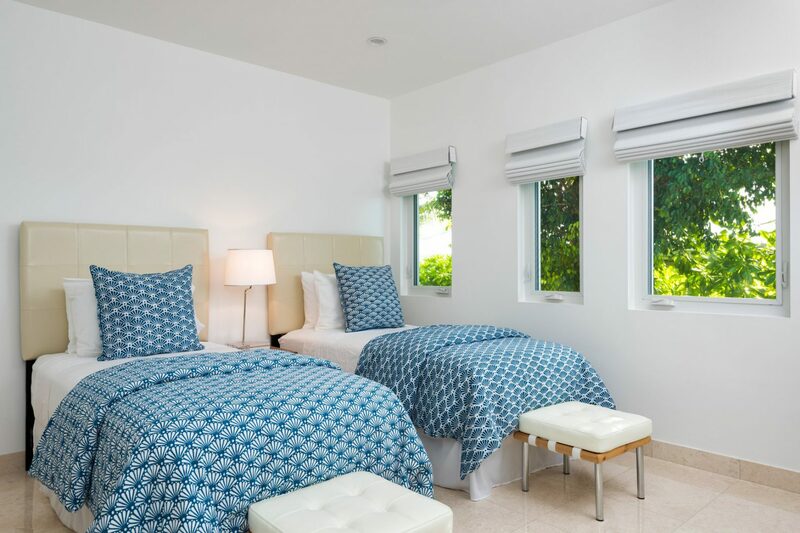 Villa Milestone’s 4 bedrooms are spacious and inviting and all have either ensuite or nearby private bathrooms. 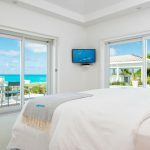 Master Bedroom 1 offers pool and sea views, ensuite bathrooms with double sinks, soaking bath/shower combo, shower, sliding glass doors for easy pool and beach access and flatscreen TV. 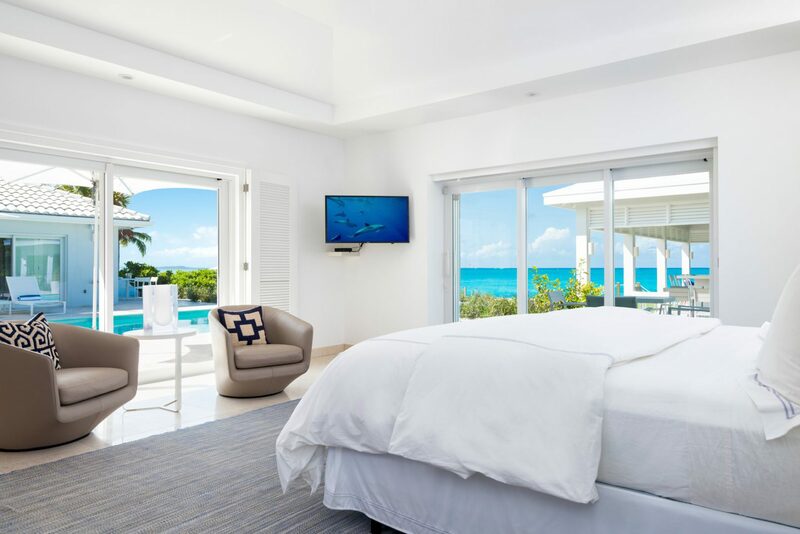 Master Bedroom 2 also offers sea views, sliding glass doors for easy pool and beach access, flatscreen TV and private bathroom right outside your bedroom door with double sinks and shower. 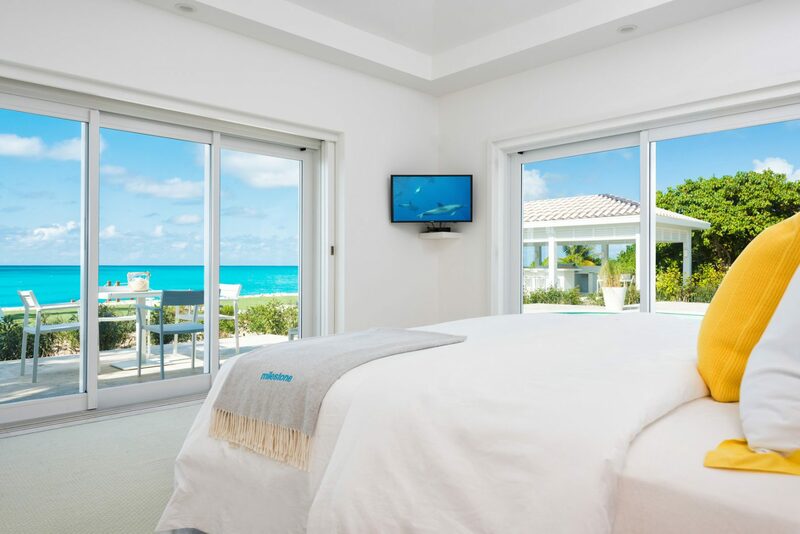 Bedrooms 3 and 4 can be configured as King or T/T beds. 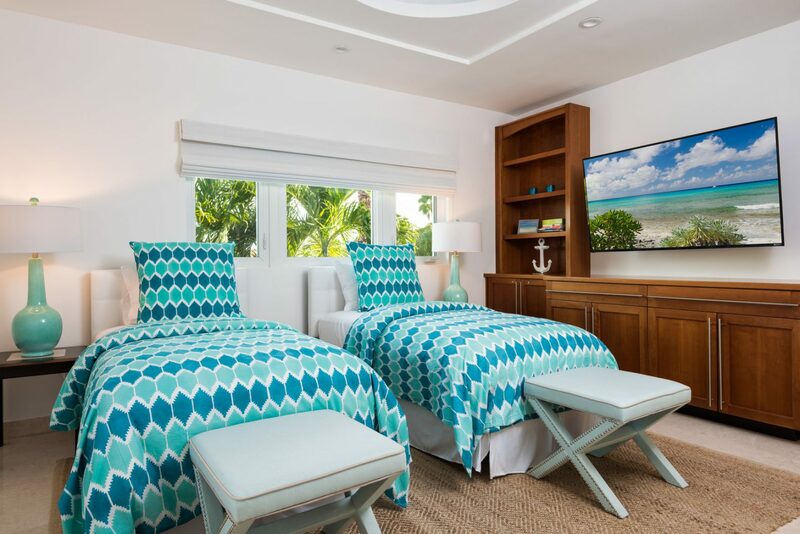 Bedroom 3 has a private bathroom right outside the door with shower and bedroom 4 has an ensuite bath with shower and double sinks. 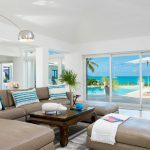 Great value beachfront 4BR with private pool and snorkeling located on world-famous Grace Bay beach. 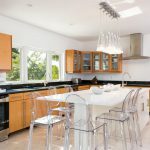 Walk to 5 restaurants and enjoy outdoor space! 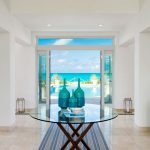 Beachfront Luxury Villa Aquazure fronts a travel poster perfect white sand beach, stunning turquoise views and great kayaking on Mangrove Island! 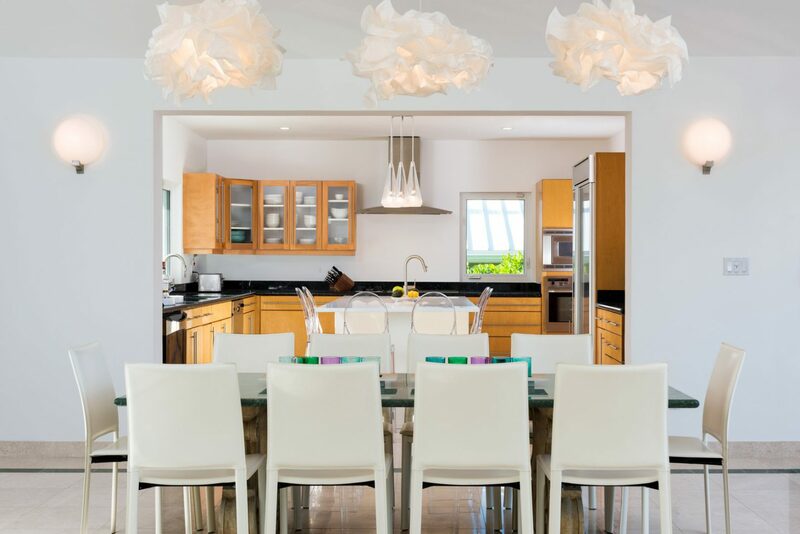 Cascade is a luxury beachfront villa with great snorkeling & amenities on Babalua Beach. 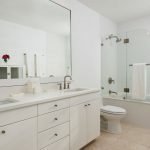 6 equal master bedrooms and great indoor/outdoor layout!